The proposed bill—which passed the state assembly recently and is being considered by the state senate—labels those efforts as a fraudulent business practice. Any sale of goods or services related to sexual orientation change would be banned. Colorado-based Summit Ministries had planned to hold two student conferences at Biola University in Los Angeles this summer. Organizers feared the group’s teaching about sexuality could run afoul of the proposed law, known as AB2943. “We are grieved that it has come to this, but we simply cannot put our students, staff, and faculty at risk,” said Jeff Myers, president of Summit Ministries. Myers said that 79 students had already registered for the conferences in California. Almost all will be able to attend a conference in another state. The proposed bill could put faculty, staff, and students at risk, he said. And it could be a distraction. “Our ability to create a safe place with our students would be compromised,” he said. Myers said that the conference staff and faculty try to build a safe environment students can learn about a biblical worldview. Dealing with a possible legal battle could undermine that trust. Because the ministry charges for registration, they could be at risk of violating the proposed law, said Myers. California already has a law banning reparative or “gay conversion” therapy for minors. So lawmakers could have amended that law so that it applies to all ages, he said. By labeling “sexual orientation change efforts” as fraud, Myers worries the proposed law could cause legal programs for groups that teach tradition biblical views of sexuality. Even if a group were to win in court—they’d face a long legal battle. It might be easier to avoid talking about sexuality. “This has a chilling effect on free speech,” he said. The proposed bill’s sponsor said it would apply only to paid therapists. But some Christian counselors and legal groups are skeptical. David French, a constitutional lawyer and a columnist for the National Review, said the bill is troubling. French said the bill defines the term “sexual orientation change practices” so broadly that even teaching about traditional Christian views of sexuality could be included. Still, French said, the bill doesn’t ban the sale of Bibles or religious meetings. 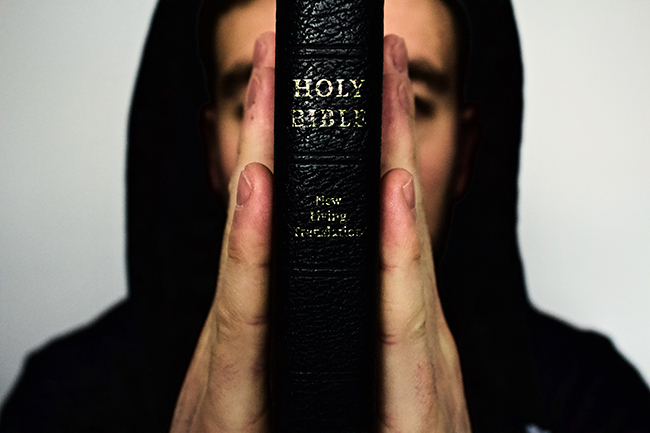 But it is so broadly written that it could ban some Christian books, he said. And French doesn’t expect Christian books to be banned at the local Barnes & Noble. “It is hard for me to imagine the state attorney general—or whoever is charged with enforcing the law—going around and trying to purge books from the shelf,” he said. University of Virginia law professor Douglas Laycock agrees. Laycock has been fielding calls about the bill due to online claims that the bill bans the sale of Bibles. It does not, he said. “The claim that the bill might ban the sale of Bibles is absurd,” he added. French does think Christian conferences or Christian counselors could run into trouble if they sell books or other materials about sexuality. The bill’s broad language could cover such books. And labeling conversion therapy as fraud makes it easier to target written materials, French said. So conference organizers or counselors could end up in court. “All it takes is one sympathetic plaintiff and you have a heck of a legal problem,” he said. Even if conference organizers or a counselor were to prevail in court, they’d still face hefty legal bills. And the threat of legal action could be chilling, he said. “California state authorities are hijacking good-faith concerns about reparative therapy to deny constitutional protection to those who hold traditional views of sexuality and marriage,” Myers said. Summit still plans to hold conferences in other states this summer and has offered to help students affected by the cancellations. I think the ones NOT reading the bible should be worried. Not the Christians. Actually Exodus 35:2, and Duetoronomy 13 could probably get the bible banned if anyone put some effort into it.